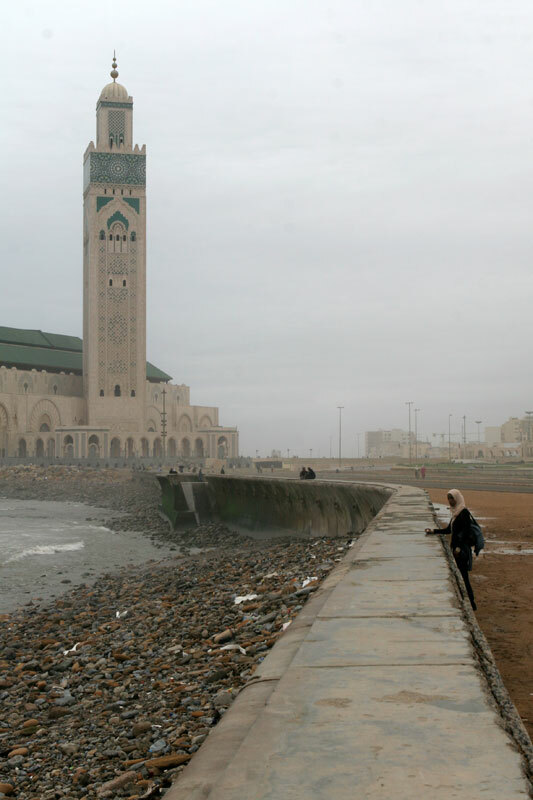 It’s been raining in Morocco since I arrived on Wednesday morning. The dark skies and heavy rains (unseasonable, I’m told, and I’m being blamed by my fixer for bringing the bad weather with me from North America), have hampered my work here. 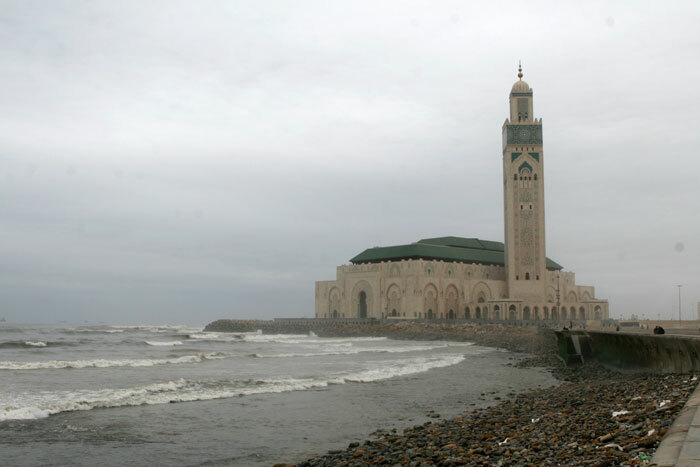 Above and below, the huge mosque in Casablanca stands steady in the mist and sea spray. I’m now in Fez, where I’m speaking at a conference tomorrow. The sun has begun to peek out from the clouds here, and I’m heading to the old part of town to meet traders in the markets. I wonder how their stock portfolios are doing?